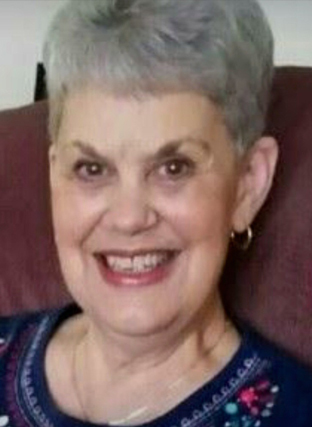 Lorine Akers Lambert, 79 of Narrows, went home to be with the Lord on Thursday, July 5th, 2018 at The Oaks at Richfield in Salem. She was born in Narrows on April 28th, 1939 and was the daughter of the late James Blaine and Ola Mae Lawson Akers. In addition to her mother and father, she was preceded in death by her husband, W.F. “Bud” Lambert; a brother, James Akers and sister-in-law, Maxine Akers. She was a retired employee of Giles County Public Schools, where she worked as a secretary for Narrows High School. Lorine will be remembered for her desire to serve the Lord through loving others. She was a faithful member of New Valley Fellowship in Narrows and Living Well Church in Salem. A loving wife, mother, grandmother, sister, aunt and friend, she will be deeply missed by her family and many friends. Left to cherish her memory are a son, Butch Lambert and wife Connie of Roanoke; a daughter, Suzanne Woodward and husband Joe of Blacksburg; four grandchildren, Brad Blevins, Tanner Lambert, Luke Woodward and fiancée Jenny Mataj, Kara Jo Leake and husband Austin; a special brother, Rusty Lang and wife Betty of Narrows; several nieces, nephews, cousins, and many special friends. Funeral services will be held Saturday, July 7th, 2018 at 5 PM at New Valley Fellowship in Narrows with Pastor Steve Parker officiating. Burial will follow in Fairview Cemetery in Narrows. The family will receive friends at New Valley Fellowship Saturday from 2 PM until just prior to the service. The family requests that those sending memorial contributions, please consider St. Jude Childrens Research Hospital.